Difference between revisions of "Attack on City College SF"
CCSF is also a robust employer, paying its faculty some of the highest salaries and benefits for public workers anywhere in the nation. State budget cuts affected the CCSF experience despite successful efforts to preserve faculty salaries and many student services. Now, the faculty's pay has been cut. 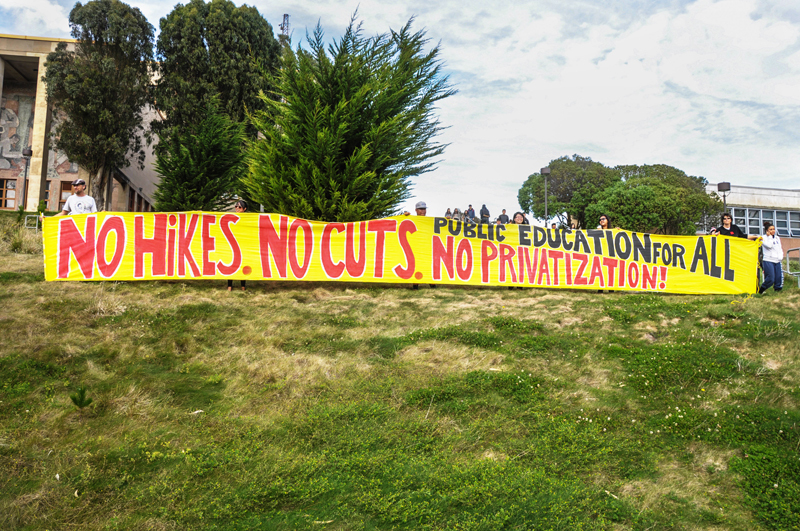 CCSF wore the difficulties of budget cuts and now the ACCJC is being "tough." [[Education ‘Reform’ Meets Gentrification in San Francisco at City College|CCSF is being made to scramble]], on its new budget, to fulfill requirements.